If you are looking for information on the Smart View Window Solutions franchise business opportunity, Smart View franchises or Smart View window tinting franchising, then you have come to the right place. Imagine Being Your Own Boss in a Growing Industry with Limitless Opportunity! No Previous Experience is Necessary to Own a Home-Based, Mobile Franchise. Smart View Window Solutions is a mobile and home-based franchise concept that specializes in residential and commercial flat glass window tinting. Smart View Window Solutions has teamed up with a leader in the window film industry to offer high quality films to both residential and commercial customers. Our franchisees provide free in-home design consultation and professional installation of window film from a mobile facility. Smart View offers low start up costs, low overhead and the flexibility to make your own schedule. 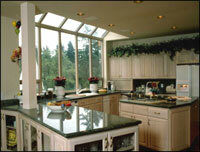 Why Join Smart View Window Solutions as a Franchisee? The need for more energy efficient homes and businesses will drive the need for eco friendly products. Being on the front end of building a business with huge growth potential. 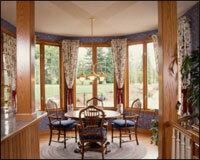 Whether business or residential, windows are everywhere! The market potential for our products is limitless because it's amazing what a thin layer of film can do to a home or business. 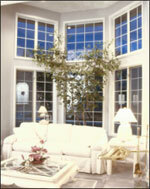 Window film offers a cost-effective and attractive form of protection from the sun's heat and damaging rays. In fact, films are offered in a variety of styles and hues and solar control window films can help regulate the temperature disparity between the sunny and the shady areas of your home. 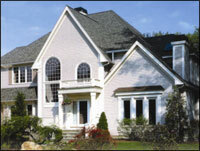 Houses stay cooler in the summer and warmer in the winter, all of which makes customers more comfortable. No Previous Experience is Necessary to Join Us! Even though we're focused on window tinting, window-tinting experience is not a must. We provide comprehensive pre-opening training at our corporate office as well as field training to make sure you are well equipped to handle all aspects of window tinting. You will learn about our products and the industry, installation techniques, operational procedures, achieving sales goals, marketing strategies and much more. The combination of our initial and ongoing training along with a technical support staff provides a strong foundation on which to build your business. There is no storefront to maintain or inventory to carry. Our franchise owners share our goal of complete customer satisfaction. For our part, Moran Industries is committed to giving each franchisee the tools, guidance, systems and support to reach their potential and to deliver on their promises. Working together, we not only create a strong and growing franchise system, but we can make a real difference in people's lives.